Our handmade silver jewellery is individually crafted, designed and produced by hill tribe communities and other artisans in Northern Thailand. We use at least 925 sterling silver and our designs range from traditional hill tribe motifs to more contemporary and on-trend pieces. The production process of our handmade silver jewellery has not changed significantly in many years. These processes have been passed down from family elders to the younger generation. Our Maison de Siam journey began with a visit to the hill tribes. I knew what I expected to find – I had in mind the picture-postcard image of an older Thai lady, sat in traditional dress, making these intricate pieces. I was surprised to find that in most cases this is not the case, the reality is quite the opposite. Most of the detailed and intricate work to create the handmade silver jewellery is done by younger generations. This is mainly because the eyesight of the elders was not good enough to carry out the intricate work. The older generations were often active, but with less of a focus on the detail work. 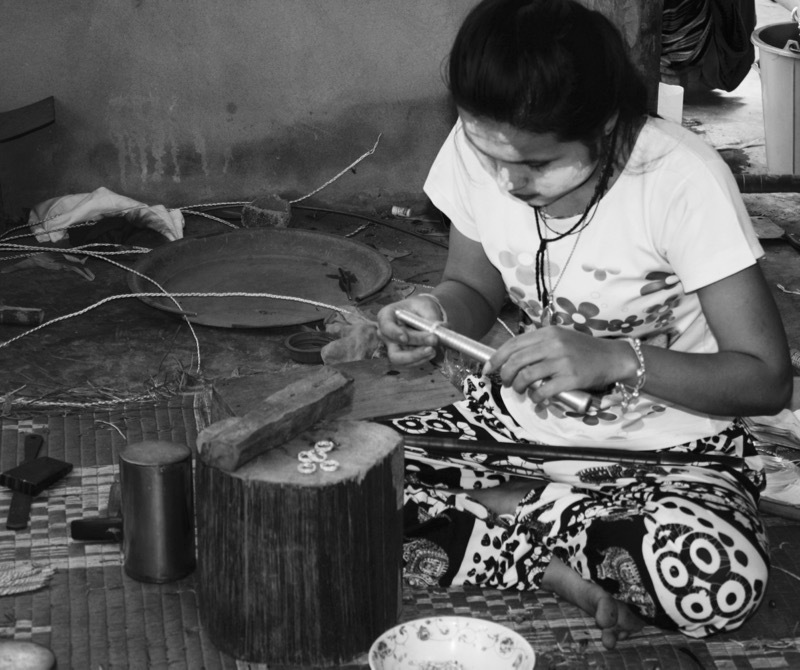 The hill tribe villages and homes also function as workshops for the handmade silver jewellery production. 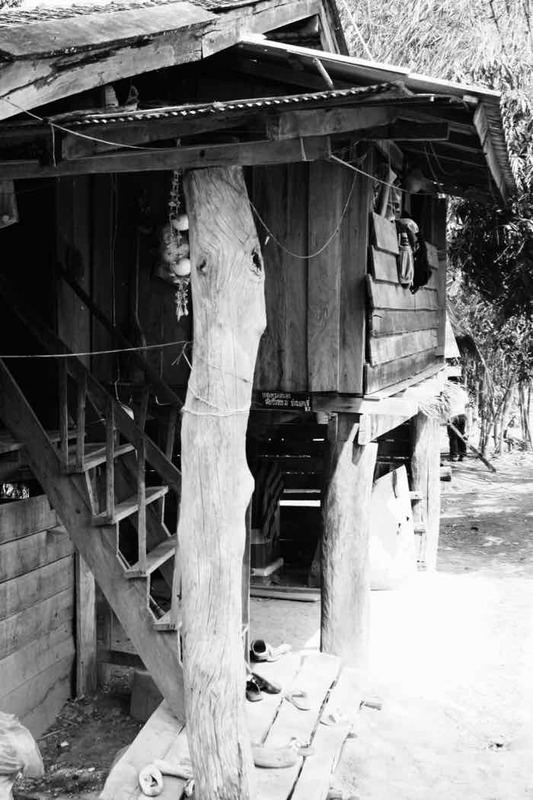 In the traditional stilted wooden houses, the handmade silver jewellery is made under the house. An area is sectioned-off and usually a wooden base put down to help keep everything clean and tidy. This is also required to separate it off from other areas which may house chickens or other animals! Other types of houses have an annexe-style area. This is very much “working from home”. The particular nature of the hill tribes’ way of life and the handmade silver jewellery process mean that production can be affected by various things. All our jewellery is made to order, it is not sitting on a shelf waiting to be shipped to us in the UK. This can cause certain challenges. When we place an order we rely on the fact that the right silversmiths for what we have ordered – and enough of them to make the order in a timely fashion – are available. The normal production and delivery time to us is around three to four weeks. But if for some reason enough artisans are not available, delivery can be delayed. We experienced this on our most recent order. Three quarters of it arrived on time but we had to wait another three weeks for the rest. Other factors can also have an impact, not least Thailand’s rather dramatic weather systems. During the rainy season it may not only become impossible to work in some of the homes, but the roads can become impassable. 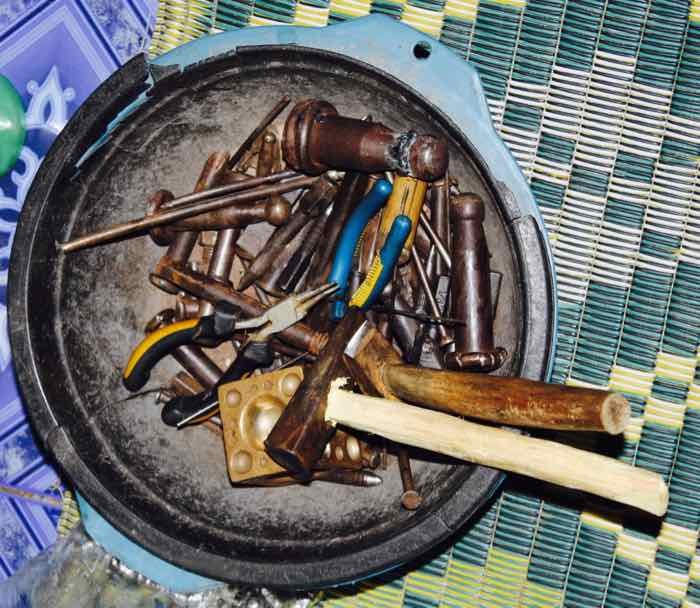 This means our handmade silver jewellery has to wait to be taken out of the village. This is just the reality of working within this artisan and highly-skilled industry, but it does sometimes make our stock-control and supply chain fun! A silversmith’s eyesight and steady hand are of vital importance. Most of the tools used to create these unique pieces of handmade silver jewellery are surprisingly basic. In many cases hammers, cutters and wooden shapers are the only tools employed to create the perfect curves, lines and textures of the pieces. Heat is occasionally used to soften the silver before it is moulded. In some pieces, a few of the bangles for example, hand-operated machinery is used to help shape and achieve the smooth finish required. The real skill comes not from the tools but from the expertise that has been passed down through the generations. The silversmiths learn from the elders of their community, working hard to emulate the intricate detail and delicate shapes. Each item is repeatedly matched against a model piece, to ensure that quality and consistency are maintained. Basic wooden measuring rings are used to gauge the width of rings and bangles, making sure that each piece is as consistent as possible. Due to the nature of this handmade silver jewellery though, there will always be slight variations from piece to piece. The silversmiths either work individually or as part of a team. For the more complex pieces, such as an intricate necklace, the silversmiths all work together to finish each piece. While earrings may be made from start to finish by one person. Some of the more detailed necklaces can take up to sixteen hours each to finish. Whilst some silver bangles, although much larger, are much simpler in design so can be completed much more quickly.